I’m back from my work trip to Boston, which is one of my favorite beer towns. I was there for two nights and used the opportunity to visit two outstanding brewpubs. First up: Boston Beer Works on Brookline Avenue across from Fenway Park. After a long day of travel and work on Sunday, June 3, we had a free evening. I can always count on Todd, my friend and co-worker of 16 years, to join me on a beer expedition. Since our time in town was limited, I didn’t want to take the chance on a new spot, so we settled on an old favorite, Boston Beer Works. We were staying at the Hyatt Regency Cambridge overlooking the Charles River, and it was quick $10 cab ride to the Works. The funny thing was, Boston was freezing for June! We had left behind beautiful, sunny, 80-degree weather in DC for cloudy, overcast skies and highs in the low 50s. 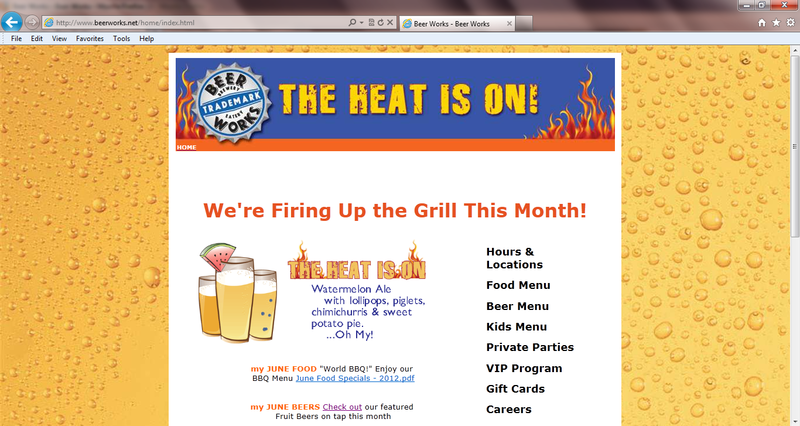 The Heat is On? Not! Laugh if you must, but Boston Beer Works brews fruit beer as good as anyone. Who can resist a glass of beer with floating fresh blueberries or with a slice of watermelon hanging off the side? Not buying it? Just know that this line-up went perfectly with our platter of boneless Buffalo wings, tossed with Honey Hot, 9-Alarm, and traditional Buffalo sauce. The Celtics-Heat playoff game was on the TVs so Todd and I decided to stay a while. 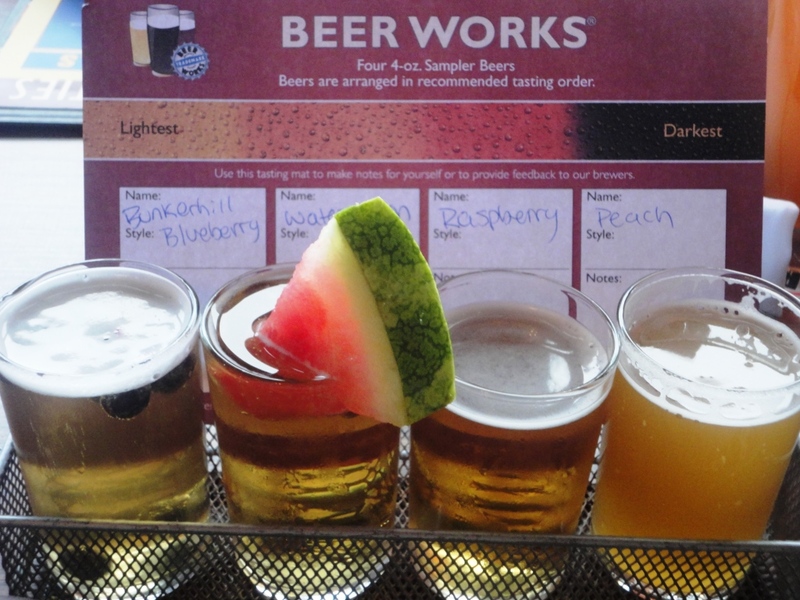 I worked my way through three more four-beer samplers, so I could try every beer on the menu. The beer and food were excellent, though the atmosphere was a little dull. There wasn’t much of a crowd,with the Red Sox out of town. I’m sure it was a different scene at the Boston Beer Works near TD Garden where the Celtics were playing!